Mandy Shepherd (1960 - ). Pencil drawing. 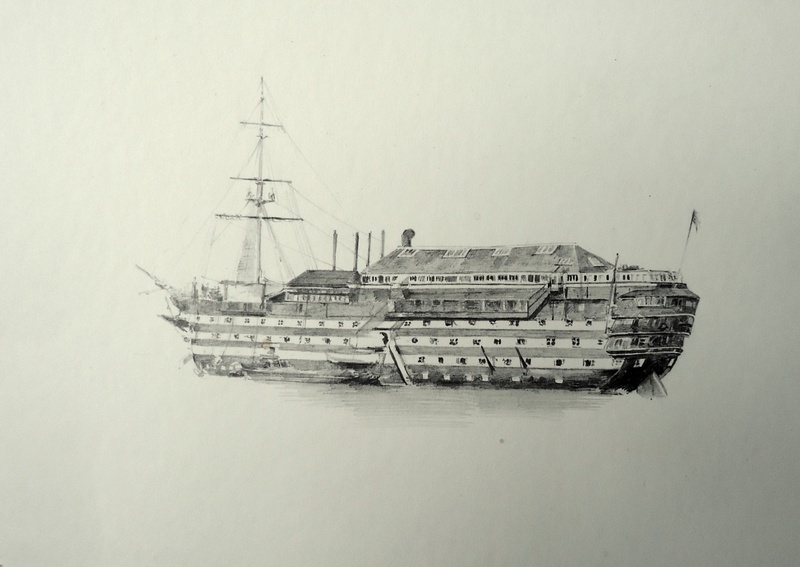 Executed in Mandy Shepherd's impeccable and finely detailed way this beautiful little pencil drawing was acquired from her some twelve years ago during a picture exhibition held on the Quarterdeck of the Royal Naval College Dartmouth. It shows the old warship in the late 1890s laid up on the River Dart where, together with another old and noble veteran, HINDUSTAN, she was used a cadet training ship before the opening in 1905 of the naval college we know today.